Jan 28: Tibet Activists staged a protest outside the Chinese Consulate in New York. 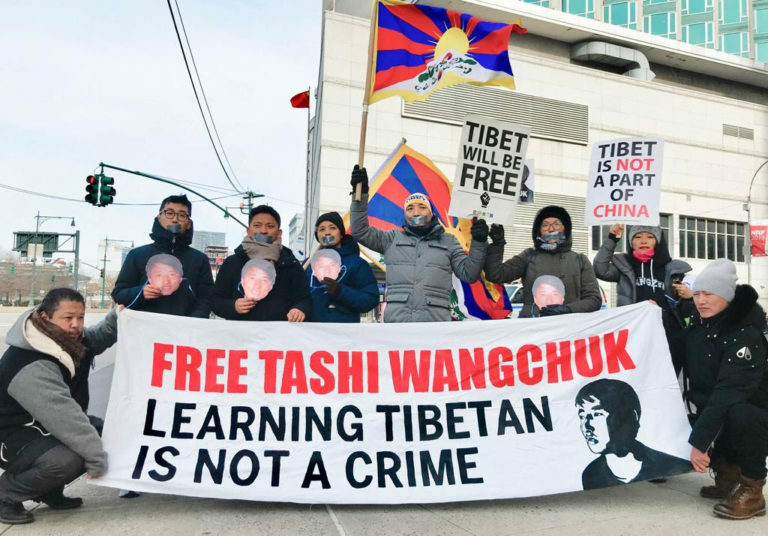 As I write this, our members are rising to take action for Tashi Wangchuk on the third anniversary of his arrest. Tashi Wangchuk is currently serving five years in prison on charges of ‘inciting separatism.’ His crime? Publicly seeking his right to Tibetan language education. We recently learned that Tashi Wangchuk was denied a visit with his lawyer. It is a complete outrage that not only does he remain behind bars, but that the Chinese authorities are even denying his fundamental rights to legal representation. Tashi’s plans to petition the Supreme Court are a testament to his remarkable spirit and determination not to give up fighting this travesty of justice, and we commend his courage. Will you join the fight for Tashi’s release? Tashi has not given up hope, and neither have we. P.S. If you’re on social media, help make sure your friends and family know about Tashi Wangchuk. Share this video about his case on Facebook.